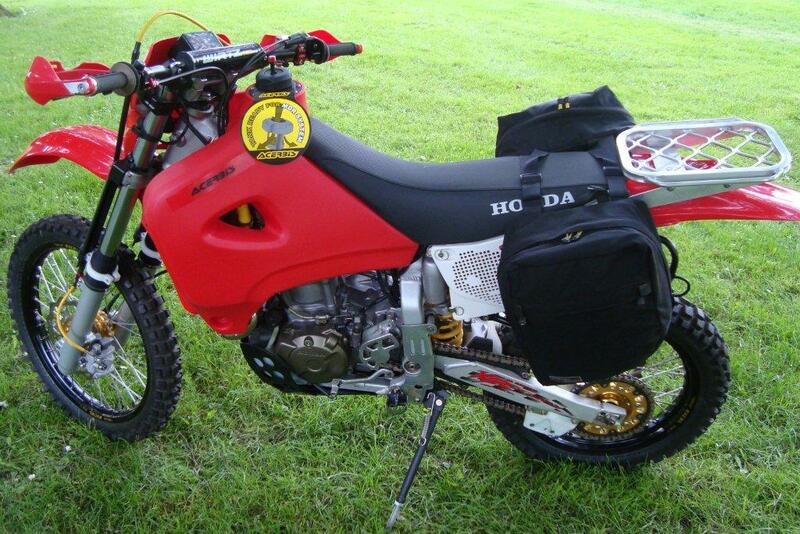 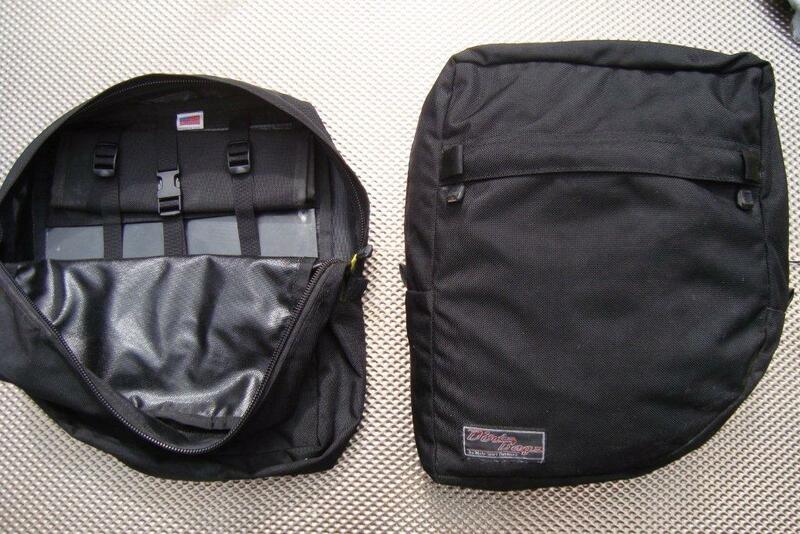 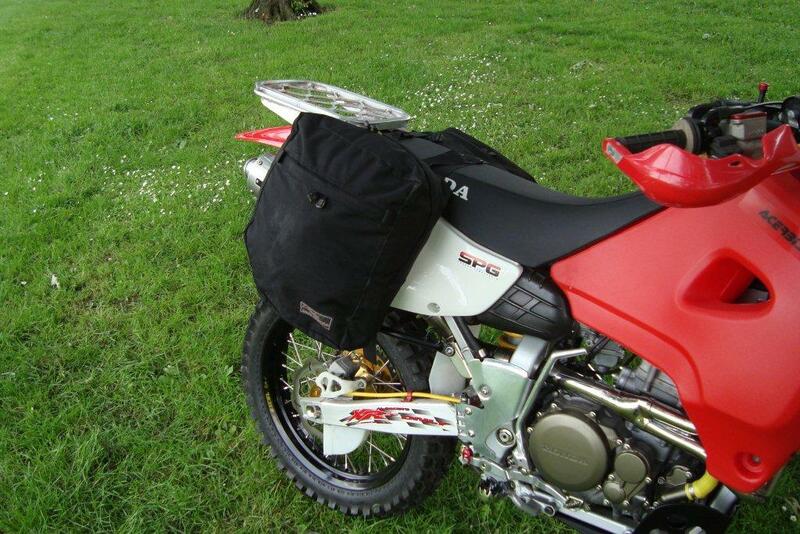 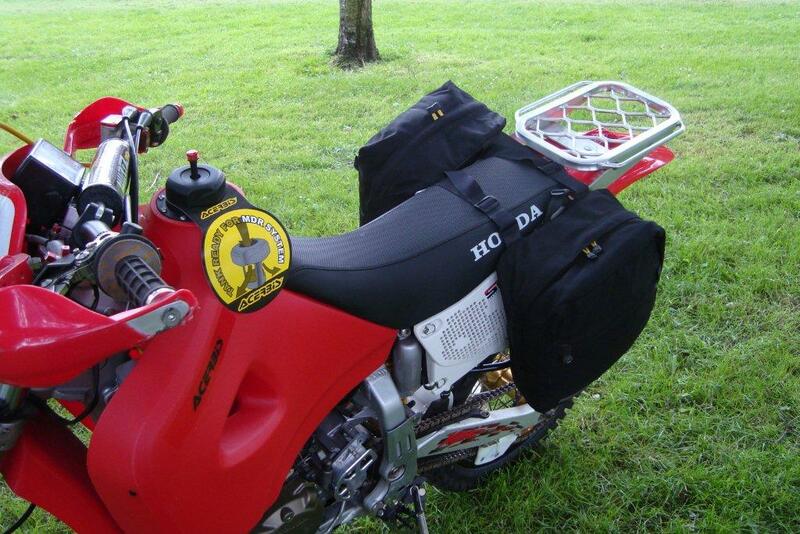 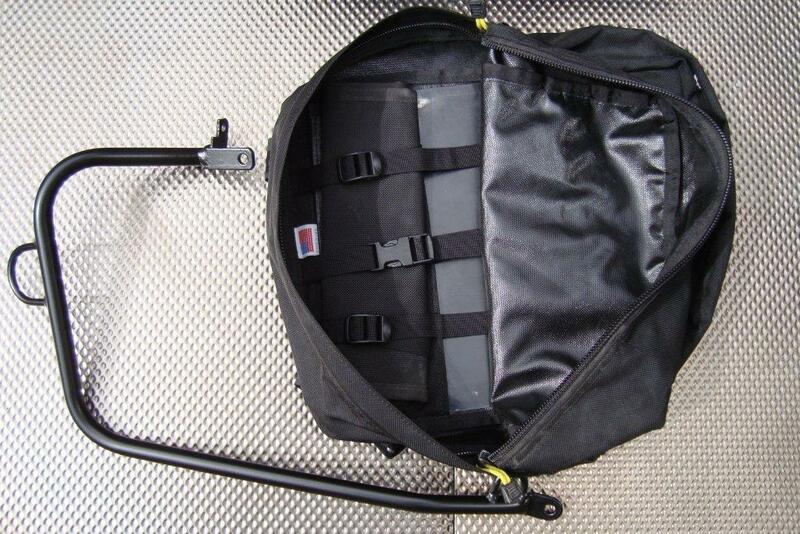 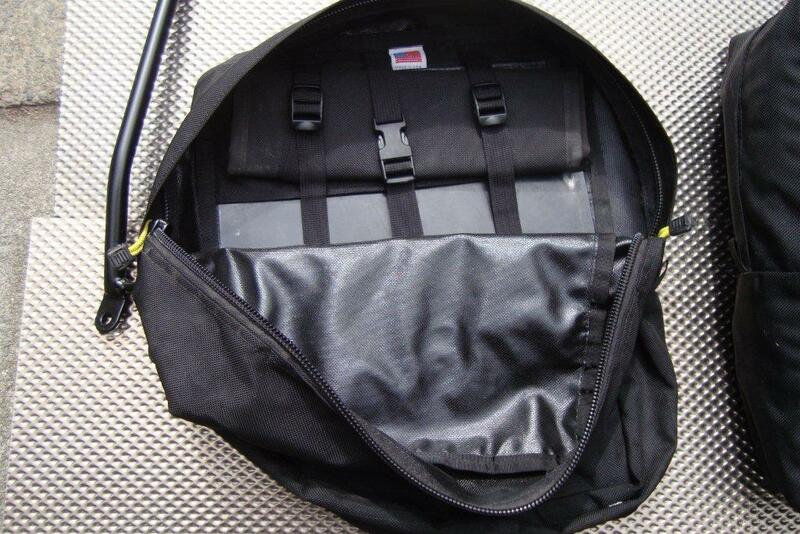 These panniers are called "Dirt Bags" each pannier is twin pocketed and also comes with a separate document pocket. 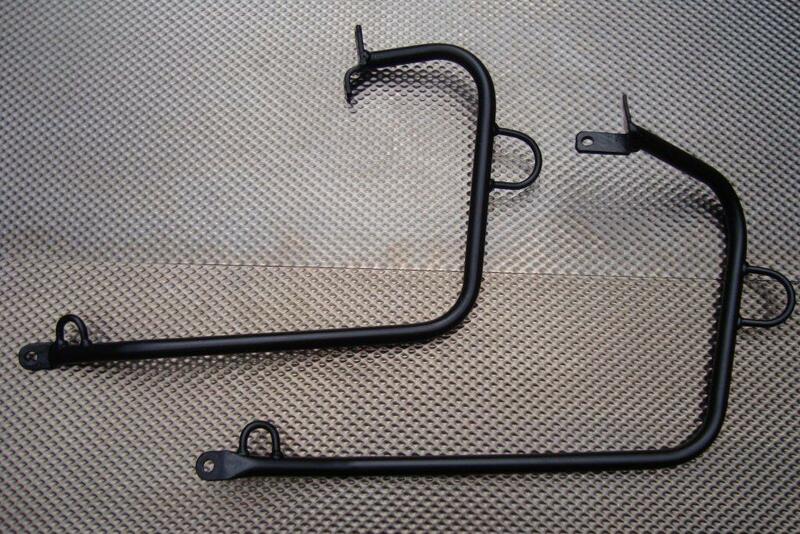 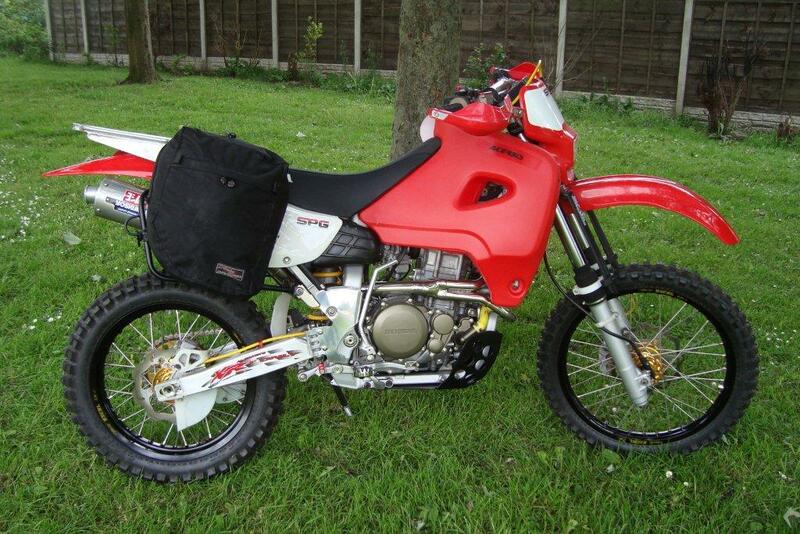 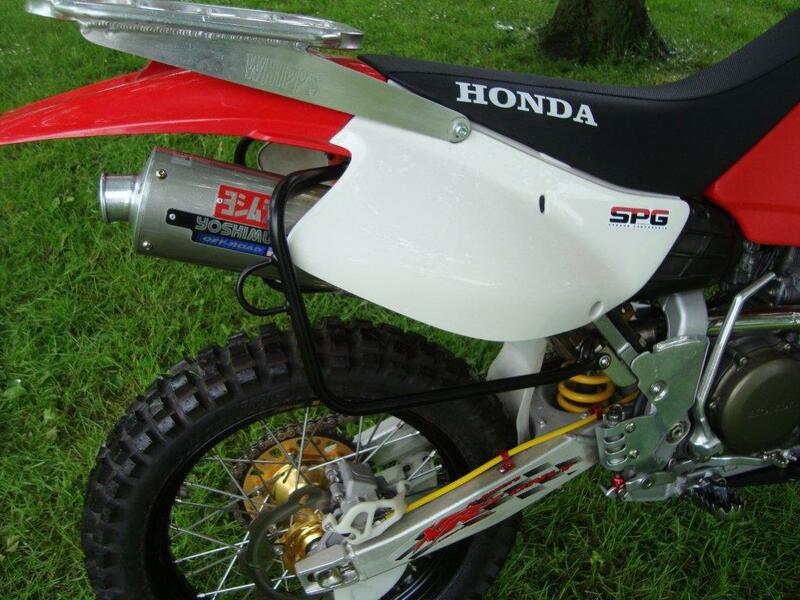 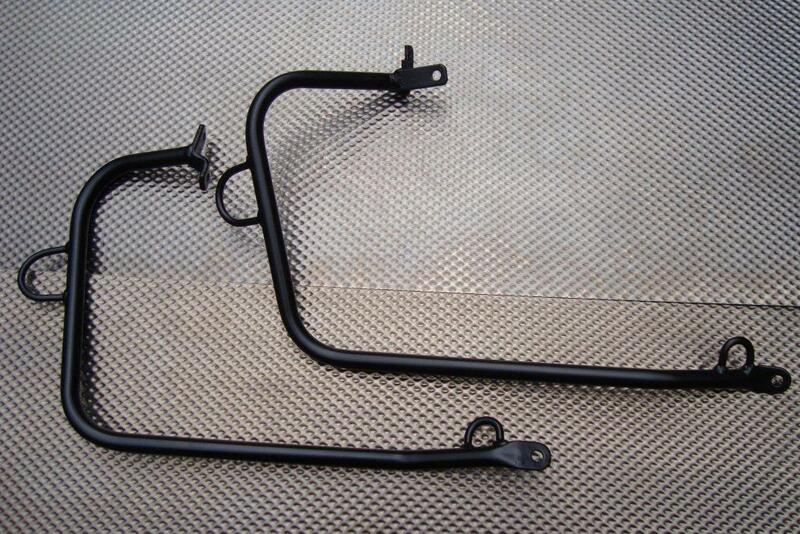 These fit on the bike using two frames which fasten to the XR650R sub frame. 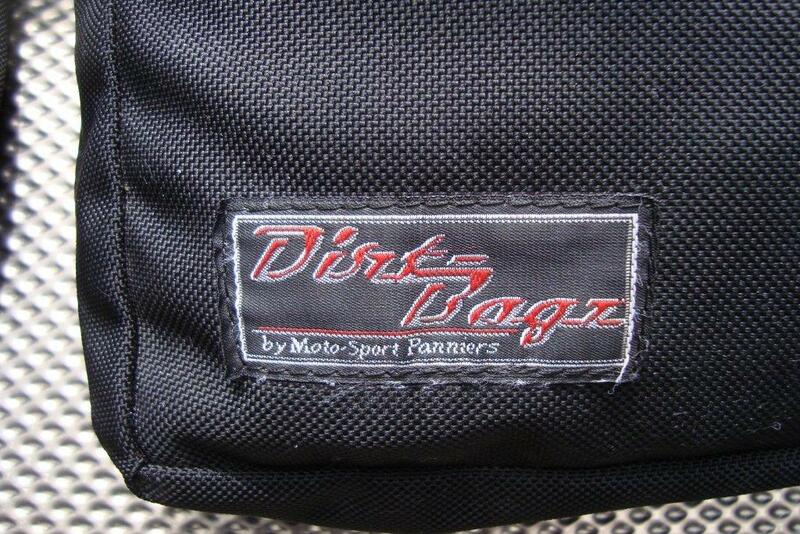 These were recently used for a trip to Morocco with great success.